The Rotary Club of Cambridge, NZ, has given back over $1,000,000 to the local community from funds raised through its community directory project. The Cambridge Community Directory, now known as Cambridgefindit, was first published in 1990 as a bi-annual publication, but due to popular demand it very quickly became an annual publication. It has survived in this technological age we now live because it provides what the community wants; a local telephone and business directory that is easy to read and handle. The directory also includes local council information as well as information on local and international Rotary programmes. The project involves a small group of dedicated Rotarians who meet fortnightly to coordinate the production and twice yearly all club members are involved in data collection and delivery of the 10,000 directories. When Telecom advised that it would no longer provide listing data, the project could have stopped, but instead, the club set about with an ambitious project to establish its own database. Every telephone number in the area was contacted to obtain permission to use their number in the Rotary directory. Data is constantly updated by regular communication with the public. This decision has enabled the club to own and maintain a very valuable asset. Each year a cover theme is designed to promote the community. 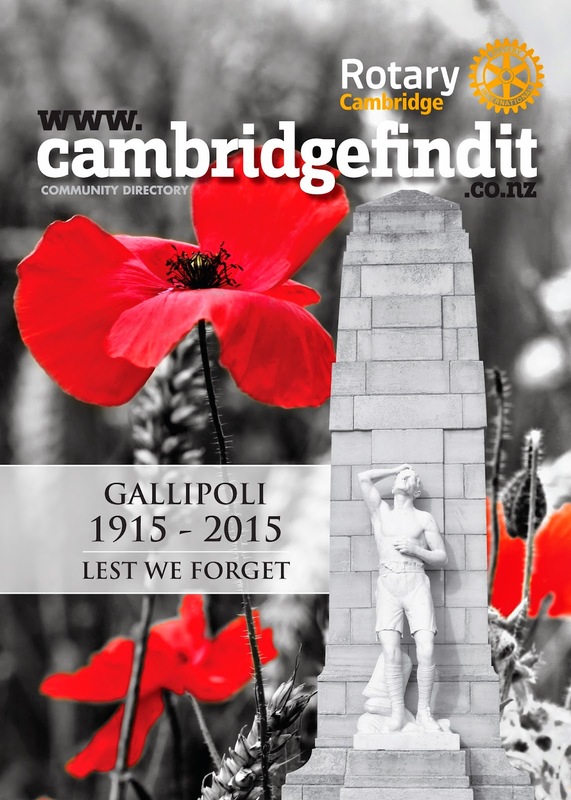 This year it is appropriate that we recognise the hundred year Gallipoli commemoration with a stunning cover showing the Cambridge Cenotaph and ANZAC poppies. The directory is generously supported by local advertisers who see the publication as a way of contributing to the community. Without their support, we would never have raised such a large amount of money and the community would be much the poorer.